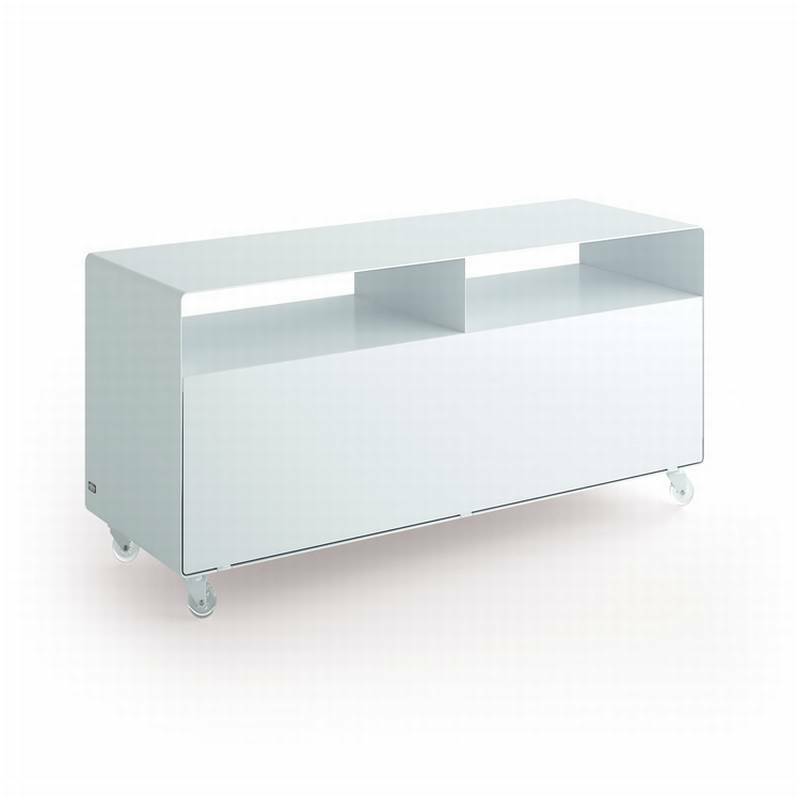 Description A stylish and durable sideboard made from 2.5mm thick sheet metal with a semi matt acrylic finish. So strong that you can sit on it! (max load 80kgs/176lbs). Upper shelf with a central partition, lower hinged door (with a soft stopper for smooth closing) and rear cable slot. On castors or legs lacquered to match the main body.